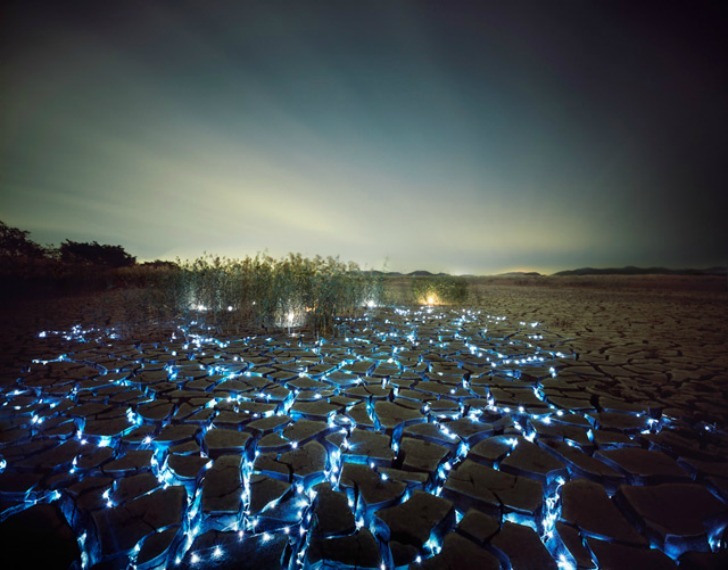 In photographer Lee Eunyeol's 'Starry Night' series the sky and the earth appear to have switched places, and planets and stars appear embedded within cracks in the earth. Lee's stunning light installations are created by installing LED bulbs in natural settings to create epic illuminated landscapes. Using temporal photographic techniques the artist creates these mysterious sights, which reach off into the distance like magical forests in a fairy tale. Lee’s beautiful light installations makes the dark sky appear as if it’s hiding something undefined. Although the installations are painstakingly fabricated by the artist, they somehow appear organic and natural. Unfortunately Eunyeol doesn’t have a website right now to show his other works, but he’s currently exhibiting the photos in the Seoul-based Gana Art Space. 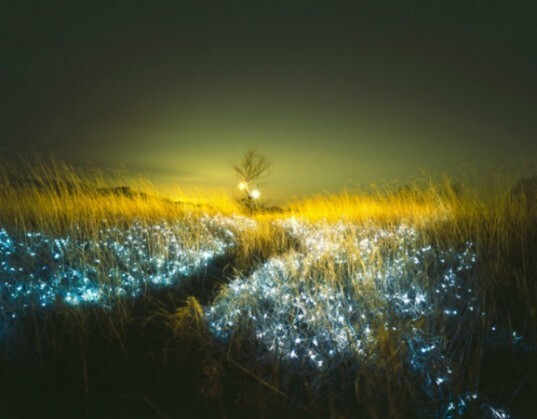 Lee's beautiful light installations makes the dark sky appear as if it's hiding something undefined. Although the installations are painstakingly fabricated by the artist, they somehow appear organic and natural. Some of the works use more color to highlight views of the distance. Other images create a softer tone. Some pieces look like haunting blue lights bouncing off flowing water.